It’s no secret that herbal supplements can be great for your health. They’ve been used for centuries to heal the human body both inside and out. In fact, you may be growing herbs in your garden and not even realize the power they hold. The flowers and roots can be used for many ailments and overall better health. The flowers are generally eaten or made into tea. You can add them to salad, soups or eat raw. They are tasty and contain potassium, beta-carotene and vitamins A and C.
Roots and stems contain a creamy substance that can be squeezed out and used for skin issues. Rub it over a bee sting to take away the pain as well as cuts and scrapes. It is a natural acne treatment and can remove warts when applied directly to the affected area several times a day until gone. While dandelion is generally considered safe, you should be aware that some people are allergic. Be on the lookout for any skin reaction or gastric upset after using. The medicinal value of garlic cannot be ignored. It contains Allicin, which is a natural antibiotic. This helps your system fight infection and can help to strengthen your immune system. Garlic has also been in the forefront of natural remedies for fighting cancer, heart disease, lowering cholesterol, improving blood circulation and lowering blood sugar. Adding garlic to your diet can only improve your health. Used topically garlic can take the pain away from cuts, scrapes, bee stings, and rashes. It has also been successfully used to clear up acne or other skin problems. Cut the clove in half and rub the cut side onto the affected area. This herb is high in antioxidants and minerals. Antioxidants are responsible for reducing free radicals, which are chemical reactions in your body that damage your cells and cause premature aging. By adding oregano to your diet you can help keep your body healthy. Cilantro. High in vitamin K, antioxidants, minerals and fiber, cilantro adds flavor to your foods as well as offering health benefits. It can help remove toxins from your body helping to reduce depression and reducing chronic fatigue. It may also play a role in minimizing the effects of Alzheimer’s disease and osteoporosis. If you’re susceptible to digestive problems or nausea you may want to plant some in your garden. Mint helps calm your stomach and ease flatulence. 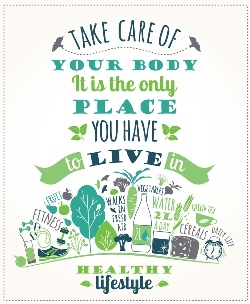 It contains vitamins, magnesium, iron, phosphorus and calcium making it a great addition for bone health, too. Not to mention it smells great! Growing an herb garden is easy and can be done in a very small space, even a window sill. 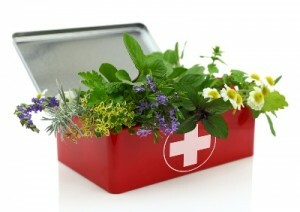 The benefits you will gain by adding fresh herbs to your diet or to have on hand for topical applications are numerous. Plus, taking care of an herb garden is a simple as planting the seed, watering and snipping to use as needed.